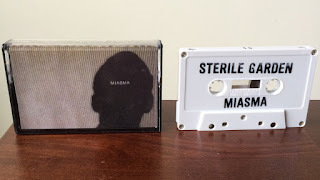 Miasma fills me with anxiety. I mean really deep, truly uncomfortable disquiet. Imagine the ambience of a haunted abandoned sawmill (but please, don’t mistake my use of the “a” word for ambient), then imagine that the spirits of all those who have been murdered in that sawmill (because who haunts sawmills but murder victims?) decided to test the frictive characteristics of all the metal objects they could find in an attempt to freak out whoever was in earshot. By the way, the spirits of all those poor murder victims were also recording their sounds to tape, and then manipulating those sounds further to create even more unsettling noise. What resourceful sprites! Anyway, Sterile Garden didn’t make any of this music, the ghosts did. Sterile Garden is Jacob, Erick, and Joseph, and they’re like those three filmmakers in The Blair Witch Project who ran around the woods in circles, and then died for their trouble. Instead of the woods, these three ran around the sawmill mentioned above, and somehow got lost in what essentially was a glorified warehouse. Way to go, guys! Their bodies were never recovered. I received this tape in the mail from an anonymous sender. 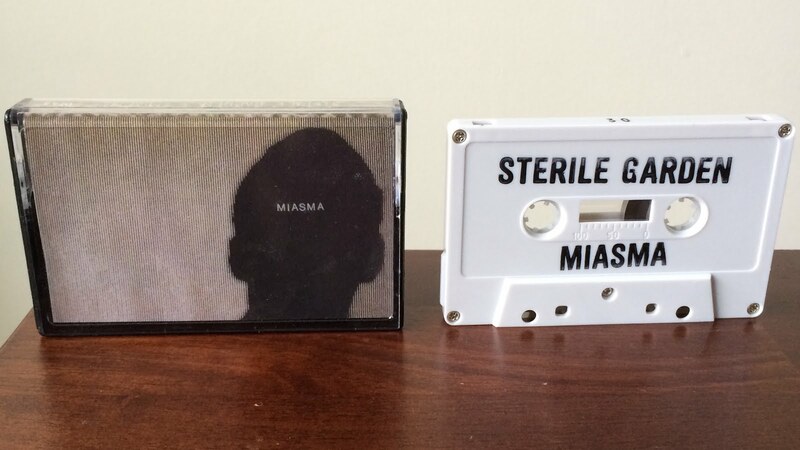 (OK, I’m lying, it was sent by the Cassette Gods overlord himself, Nick.) It is filled with vaporous blasts of metallic noise, HNW at its creepy finest. I’m certainly terrified right now. Mission accomplished! …Maybe the police should question Nick, or the Obfuscated Records gang, in the disappearance of Jacob, Erick, and Joseph. They might find some clues or something.